Christopher Columbus, on his fourth voyage to the New World, named this country “Honduras”, which is Spanish for “Depths”, referring to the deep waters off the northern coast. Honduras gained independence from Spain, along with her neighbors, in 1821. Located in the middle of Central America, her neighbors are Guatemala, El Salvador, and Nicaragua. She also has a small border on the Pacific Ocean and a long border on the Caribbean Sea. This area, also known as the “mosquito coast”, is a long series of white, sandy beaches and freshwater lagoons. The Mosquitia (as it is called there) has one of the greatest tropical rain forests remaining in the world, along with pine woods (their national tree) and grasslands. The Bay Islands lie off the northern coast, with the largest island being Roatan. These Islands were fought over by the English and the Spanish and a large number of English settled there. It is not uncommon to see blond hair, blue-eyed, locals on the islands. It was also an area home to the Garifuna people, Afro-Caribbean, “Bay Islanders,” who were brought from West Africa to work on the plantations and now reside mainly along the north coast. It was the Mayans who inhabited the area before Columbus arrived and established large communities there. They later moved on to Mexico for reasons not completely understood. One prominent theory suggests a prolonged drought caused famine and unrest and eventually led to the dispersal of the Mayans. Copán is considered to be an important Mayan archaeological site and is one of the most visited tourist attractions in Honduras. Honduras, bordered by the Caribbean Sea, is subjected to occasional hurricanes. In 1998, Hurricane Mitch, a category five hurricane, devastated Honduras, killing over 5000 people and causing more than two billion dollars in damages. The main ethnicity of the Hondurans is mestizo, a mix of Indian and European, along with other native Indians and the Garifuna. Spanish is the official language, although English is often spoken, as well as indigenous languages. The main religion is Roman Catholic. Bananas, the main crop in Honduras, drew in large companies from North America. These corporations remain the largest land holders in the country. Unfortunately, they never took care of the people and infrastructure, as promised, in return for the land. This set up a kind of aristocracy for the wealthy few, while the majority of people in Honduras remain poor, with 65% living in poverty. Today the primary exports are bananas, coffee, pineapple, palm oil, timber, clothing and seafood. The United States is their main trading partner. Honduras, with its beautiful islands, azure blue seas and rain forests could be a real draw for tourism. Diving and snorkeling are said to be among the best in the world, as the islands are surrounded by the world’s second largest, barrier reef. However, the crime rate is excessively high and Honduras is, unfortunately, referred to as the murder capital of the world. Drug smuggling and kidnappings are also big problems. Although they have made some strides to improve their reputation in the last few years, the country remains on nearly every country’s travel warning list. Tourism suffers tremendously due to this threat. It is not uncommon to see police and military soldiers with assault rifles walking the streets. They are there as protection but leave a very uneasy feeling for the average tourist. The current president, Hernandez, is working with the International Monetary Fund to ease their poor fiscal situation. He announced “The Plan of the Alliance for Prosperity in the Northern Triangle”, a plan to work with Guatemala and El Salvador to reduce violence, stimulate economic growth, improve infrastructure and promote education over the next several years. All three countries suffer from the same ills and all should benefit from this alliance. As we look into the cuisine of this nation, we see a fusion of indigenous Indian cuisine with Spanish, Caribbean and African influences. The Garifuna have a distinct, cuisine style with lots of fish stews and soups, many of which use coconut milk. The cuisine varies by region, with seafood being a prominent ingredient on the Bay Islands. Beef is a more popular choice on the mainland. The dishes are not spicy-hot, however they do use quite a few aromatic seasonings such as: cumin, anchiote, allspice and paprika, along with fresh herbs, like coriander and oregano. 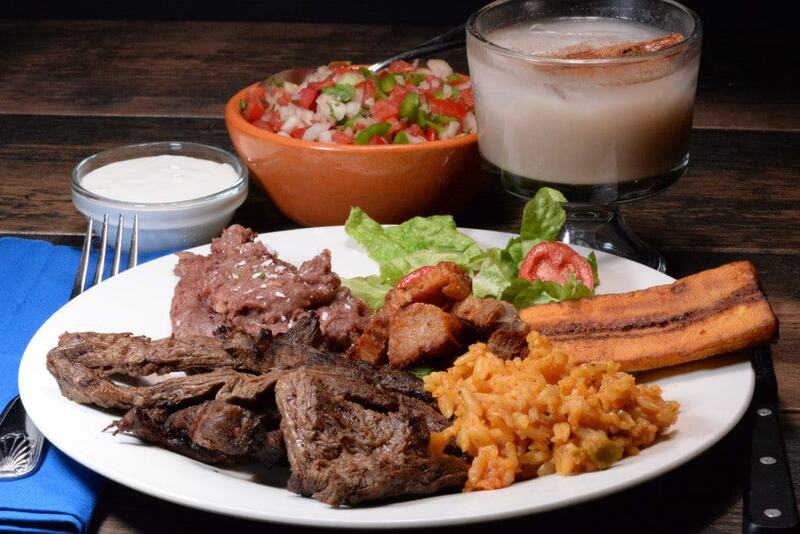 Rice and beans along with corn tortillas are by far the main, staple foods. Beans there are either black or red and used extensively. Sometimes corn tortillas and beans may be all that is consumed in a day. An extremely popular breakfast food is called balaedas; a flour tortilla stuffed with beans, cheese, eggs and sometimes meat. 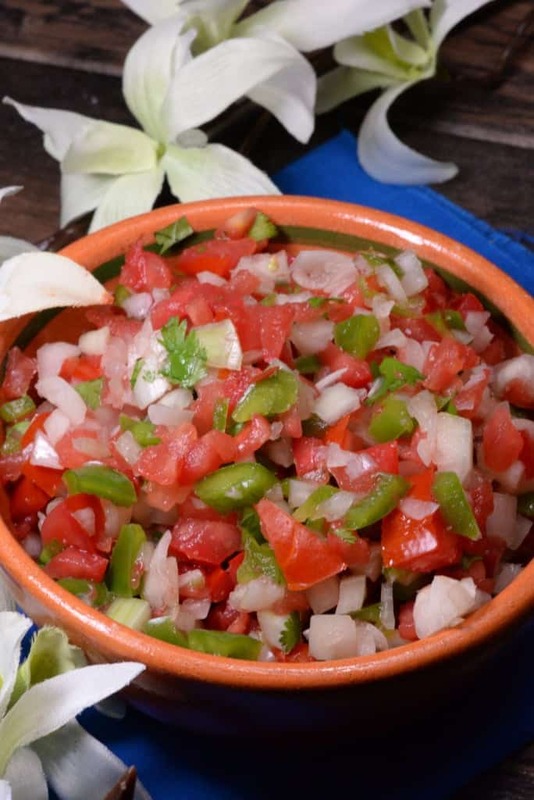 Chimol or “pico de gallo” is found on nearly every Honduran table and is a condiment put on just about everything but especially on tamales, enchiladas and carne asada. It is also used like a salsa, to enjoy on a tortilla chips. Like their neighbor Guatemala, they make their tamales wrapped in banana leaves, as opposed to corn husks. Mondongo soup, made of tripe and other beef parts, is considered a legendary hangover cure. We set the table in a tropics motif. Our tropical fruit included bananas, plantains, pineapple and coconuts. A colorful parrot, representing their national bird, (which is actually a scarlet macaw) along with orchids, (their national flower), palm fronds and banana leaves added to our theme. 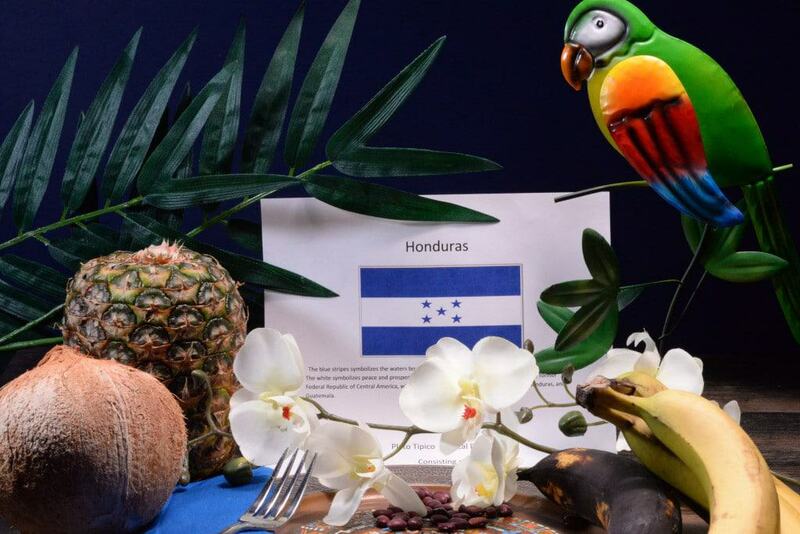 Blue and white were the colors of choice, to represent the flag of Honduras. We put on some Punta music, created by the Garifuna people. It is a unique type of music, with the lyrics sung in Spanish, by only women. Punta music is thick with percussion, created by a drum beat made from hallowed out, native woods. The marimba is their most distinctive, percussion instrument. It is made of wooden bars attached to resonators, to amplify the sound, as they are struck with mallets. 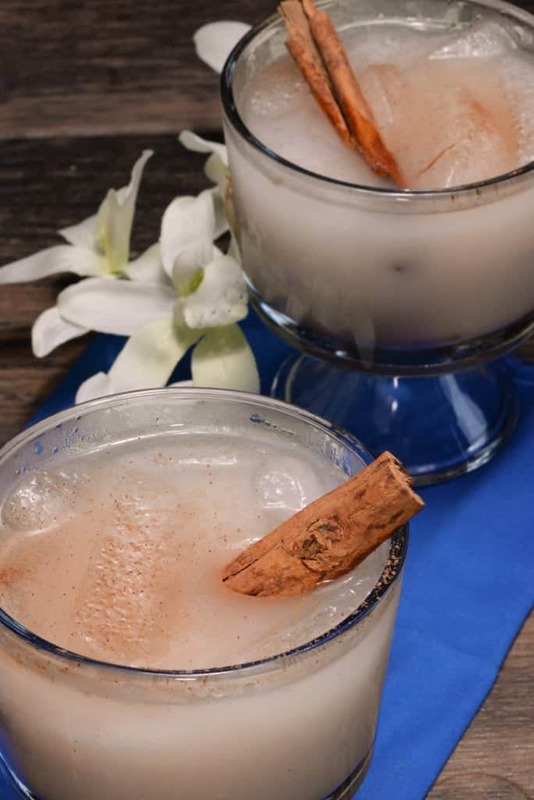 We began our meal with “Salud”, that is “Cheers” in Spanish, as we toasted with our non-alcoholic beverage, called horchata. It is a drink made from rice and spices and was perfectly refreshing. Beer or rum would be a common, adult beverage choice in Honduras. “Buen Provencho”, (enjoy your meal) invites guests to begin eating. The meal was served family style; all dishes provided at the same time. 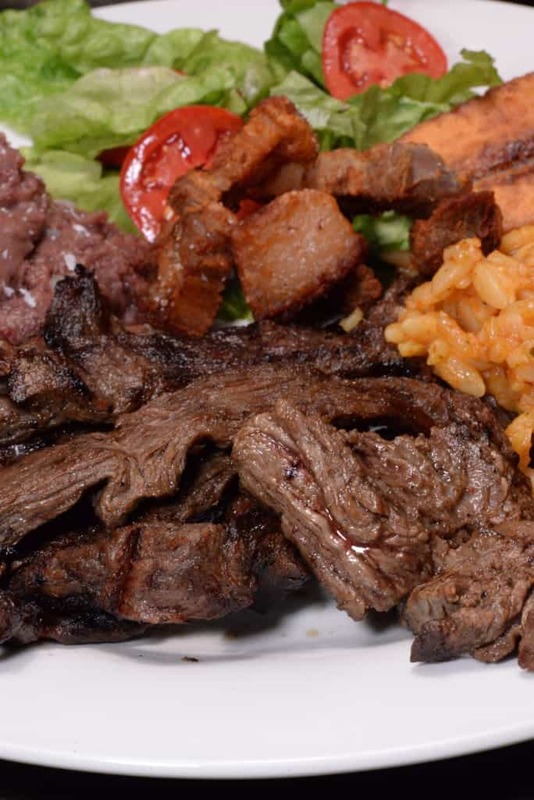 Considered to be the national dish, plato tipico (or typical plate) is found on almost every menu in the country. This is an extremely large plate of food that is both filling and delicious. The meat, called carneada, is beef that has been marinated in sour orange and spices and then barbecued. 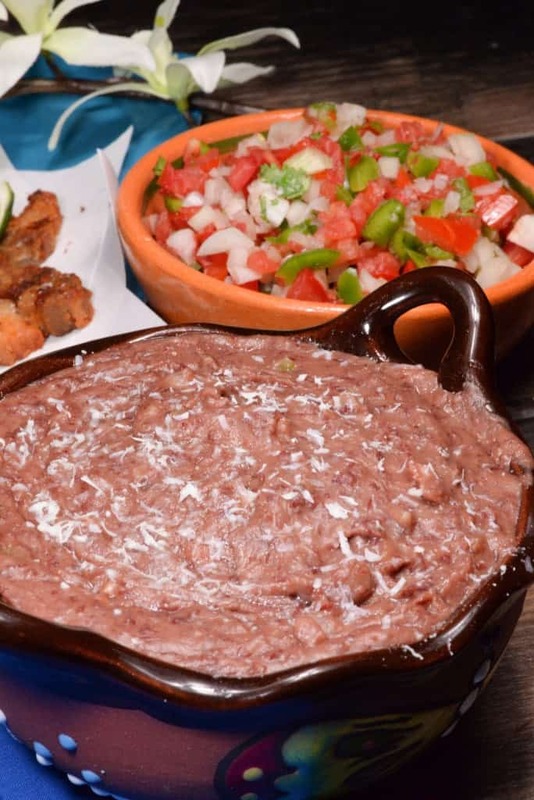 It is served with refried red beans. 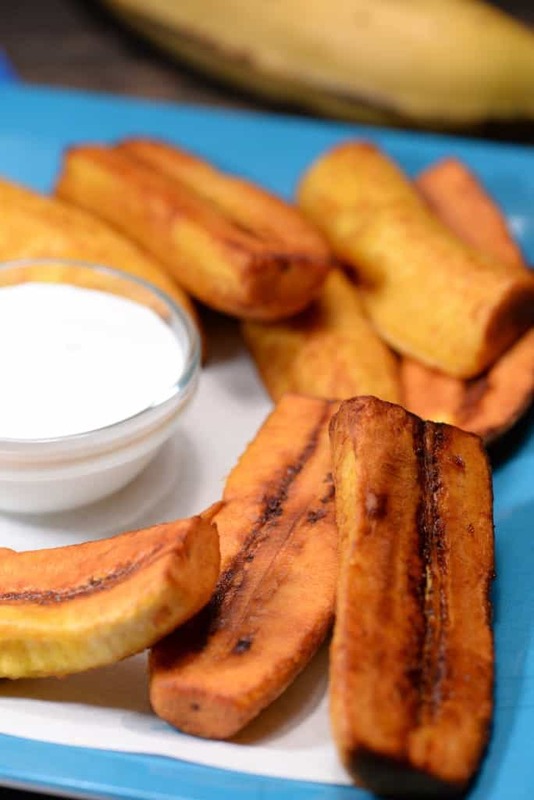 Fried plantains, made from ripe bananas, were a sweet and delicious accompaniment. 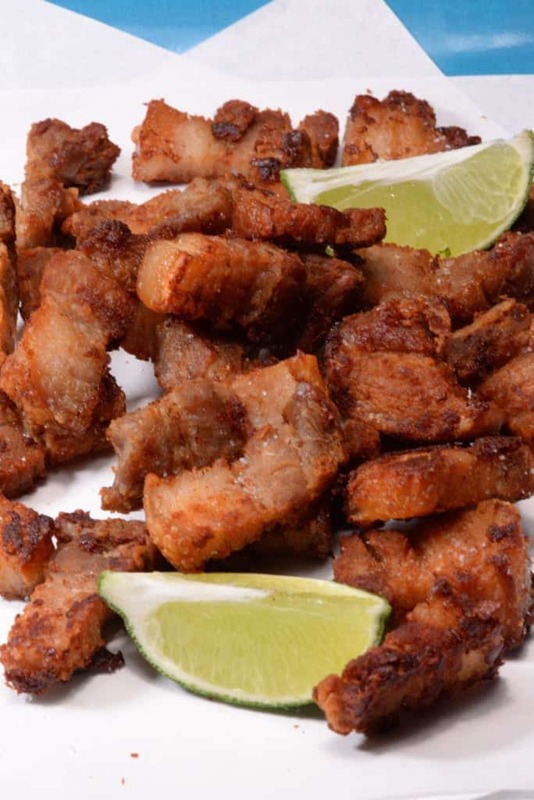 The chicharones, or pork crackling (well what can I say), is pork belly, braised for a few hours and then fried in its own rendered pork fat. Chimol, a tomato, onion and pepper mixture was wonderful on the meat. This was also served with rice, a simple side salad of lettuce, tomato and onion along with some sour cream and of course, homemade, corn tortillas. This meal would also often be served with chorizo, a spicy sausage but I thought the chicharones were enough pork for the day. There was no dessert with this meal; absolutely no room left for it. So instead we decided to crank up the Punta, get out the maracas and dance the night away. For great ills, great remedies. Hunger has no law, it’s just hungry. The truth is bitter and lies are sweet. Every time one laughs a nail is removed from one’s coffin.